The days are shorter, the nights are longer. It’s official–it’s fall. red or orange. This is a fabulous bunch flowering tulip. Several flowers on a sturdy stem. If you have enough space, plant ten or twelve for a spectacular show. selection. The many varieties can be bewildering! Therefore, my advice is to look at the tags. 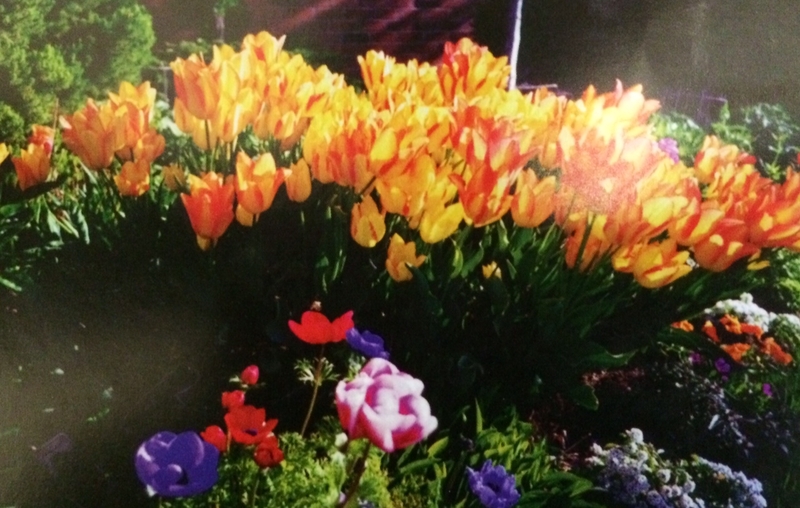 They will tell you how tall the tulips will grow to be, and when they will bloom; early, mid, or late spring. Be sure to include those tags in your packet! A mixture of Darwin tulips. Yellow, pink, and red are easy to grow. It’s also important to have a definite plan. A mixture of yellow or red? Perhaps pink and white? Or a section devoted to orange? 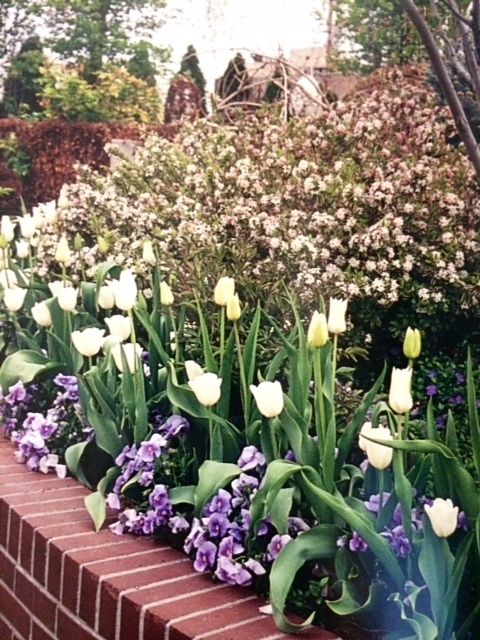 The bulbs should be firm and unblemished–bulbs that show any sign of sponginess should be avoided. The bulbs have to be planted before the ground freezes. I plant them in any vacant areas in the beds. Late spring (when the foliage emerges) is when yellow basket-of-gold and brilliant pink creeping phlox start to bloom. Together with the tulips, you will have a charming show which will last a month. “Maureen,” a sparkling white tulip that is sure to please. 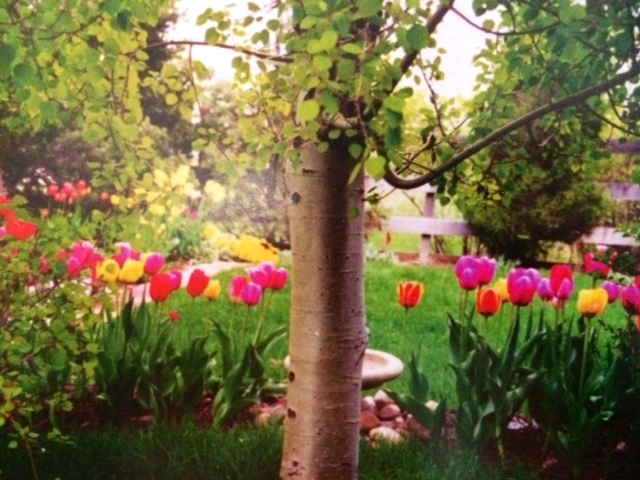 Plant tulips in clumps of 6 or 8–they’ll look more effective. These beauties, the harbinger of spring, will give the gardener much joy and sense of accomplishment. 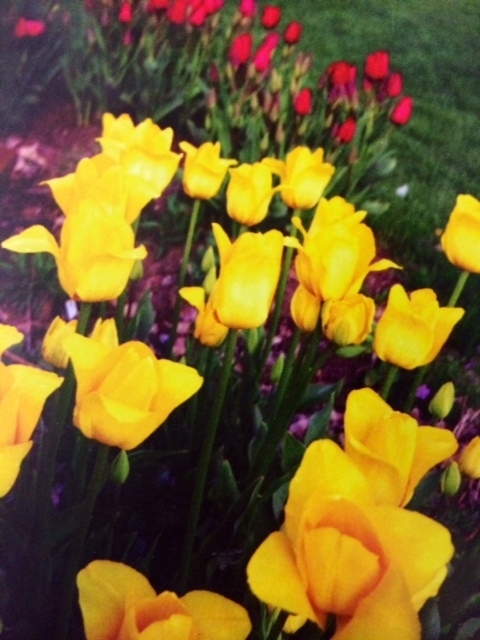 Darwin tulips, “Golden Parade,” glorious yellow which will light up your bed in late spring. Do you have a favorite October/Autumn ritual? Pumpkin spice latte at the corner Starbucks? Visiting the pumpkin patch with the children or their children? Watching a scary movie by the fireside? Share in the comments below!